Red blood cells (RBCs) carry oxygen from the lungs through the bloodstream to the tissues. The vast majority of oxygen in blood is bound to hemoglobin (Hb) in RBCs. Anemia is a condition that develops when blood lacks enough RBCs, consequently resulting in a lowered ability of the blood to carry oxygen. Commonly caused anemia by blood loss due to trauma and bleeding is associated with significant increases in morbidity and mortality. Although methods of blood collection, preparation and storage have improved significantly, potential complications and efficacy, especially of allogeneic -Donor- RBC transfusions, are still a major concern. 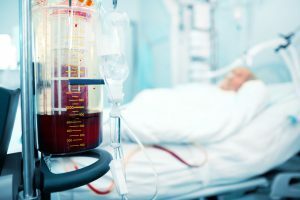 Allogeneic RBC transfusions in patients having cardiac surgery is associated with infection, ischemic postoperative morbidity, longer hospital stay, increased early and late mortality and high indirect hospitalization costs. Collecting, testing, distributing and transfusing safe donor blood is costly. Therefor Low Income countries face chronic shortage of donor blood which particularly affect children with severe anemia due to malaria or malnutrition and women with complications of pregnancy or childbirth. 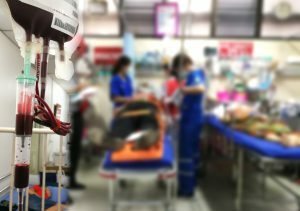 Many patients requiring transfusion do not have timely access to safe blood. The unavailability of donor blood yearly leads to deaths and suffering from ill-health. The foremost reason of death among 1-40 years old is traumatic injury, with an estimate of five million deaths per year globally,among which an estimated 10-20% of deaths are preventable. Uncontrolled haemorrhage within 6 hours of injury is one of the prime causes of avoidable death.